In the studio last week, we had a very special impersonator hanging around. 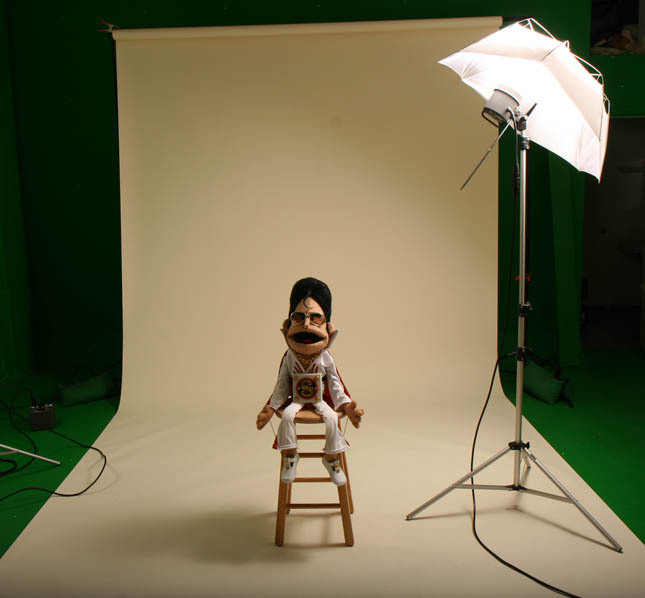 The puppet was masterfully designed and constructed by Mike, one of our multi-talented animators. Look for this hound dog on the site very soon! This entry was written by paulhanges and posted on August 11, 2009 at 4:50 pm and filed under Production Art, Sneak Peeks. Bookmark the permalink. Follow any comments here with the RSS feed for this post. Trackbacks are closed, but you can post a comment. Can’t wait to see what you do with him. Props to Gepetto, a fantastic puppet.